Fibre artists of the internet! I finished my FIRST BABY BLANKET! My fingers are sore and my heart is full of love and pride! 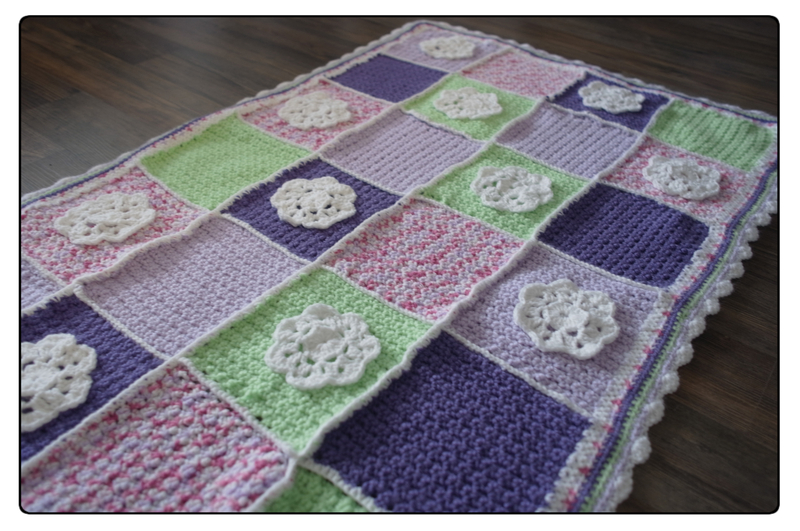 I started out with a plan to make the Daisy Afghan from Repeat Crafter Me, since she posted her pattern. 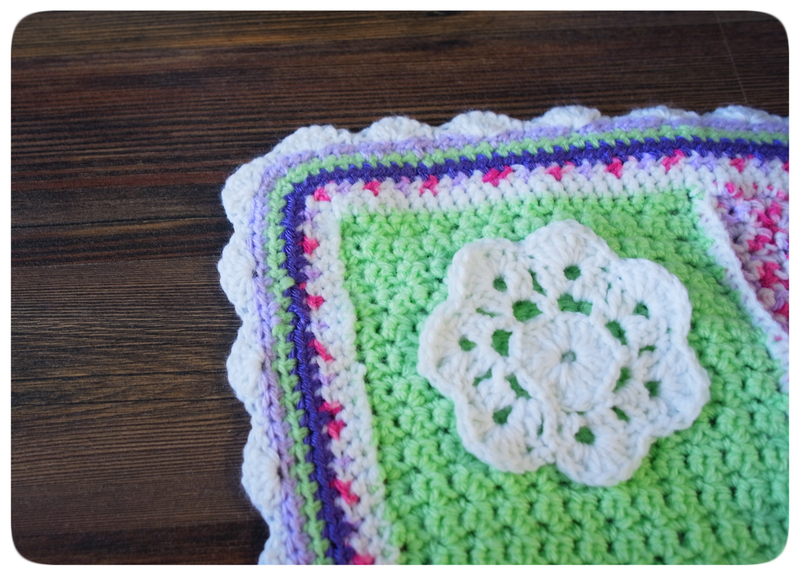 If you hang out on Pinterest, you’ve likely seen this adorable baby blanket. 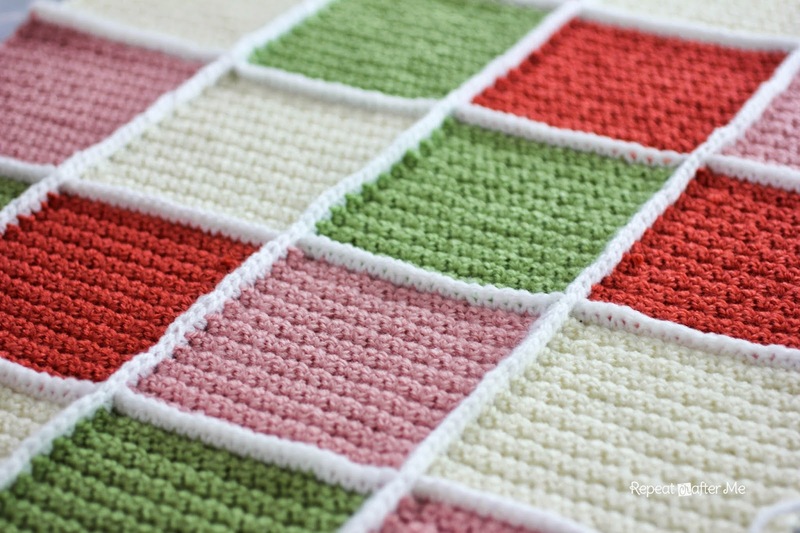 A cascade of grit-stitched squares, single crocheted together, with a scalloped border. Check out this perfection. Now, mine didn’t come together quite as neatly. First of all… I bought some worsted weight yarn, and some lighter-weight baby yarn. WHY!? Why didn’t I double check the weights!? *Sigh* Annnyyyway, instead of taking some of them back, I just used a hook one size up for the #3 yarn, which made the squares basically the same size. The other major modification came when I was doing the border. By then, I was getting a little bit tired of this blanket. I was enjoying thinking about the arrival of its future owner, but other patterns and yarn were calling to me. Instead of single crocheting two rounds in every colour to make the border, I chose to do one row of half-double crochets. Yes, this decision was born of laziness, but the results were great. I’d do it that way again. 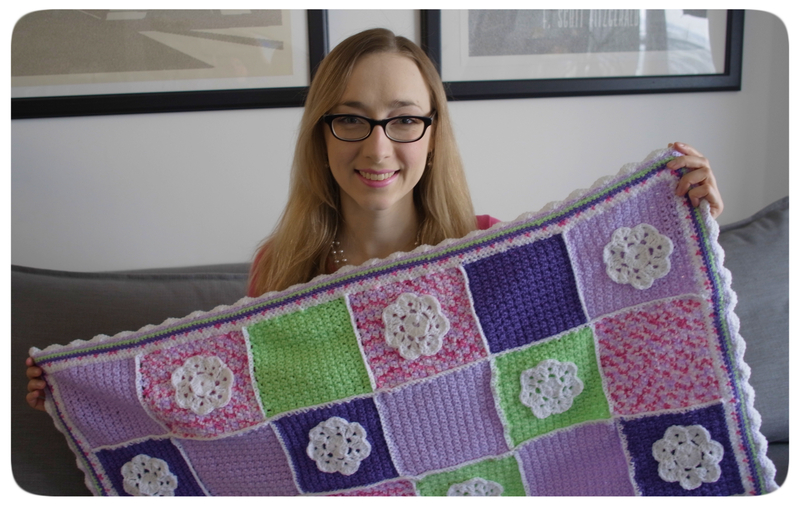 It’s been a brutally cold winter in Toronto and many other parts of North America, and a blanket seemed the perfect gift for a new baby girl at the end of February. It was well-received by little Langley, just six days old. She made her approval known by sleeping through my visit. What beautiful girl — can you tell I’m smitten? Her parents are keeping her off the internet, though. So out of respect I won’t post her photos here. Instead, here’s one of me, with the blanket I have affectionately named, The Langley.